St Piran's Day | Cornwall For Ever! St Piran's Day is the National Day of the Cornish people. 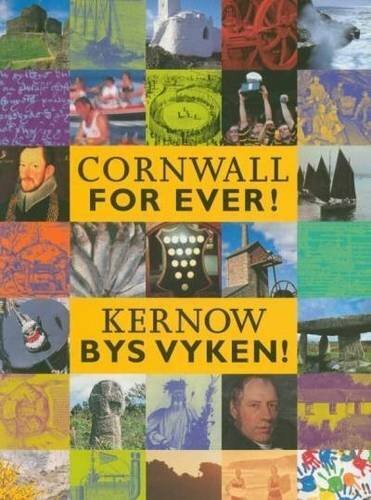 Taking place across Cornwall on 5th March, it is a celebration of all things Cornish. Some towns celebrate as near to the 5th March as possible, and the week around the actual date is sometimes called Pirantide. One of the largest celebrations is held in the Cornish town of Redruth, where a community procession takes place, filled with Cornish bands and dancers. The procession marches up the main street of the town, led by the town mayor, and stops to sing the Cornish song ‘Trelawney’ at the town’s ‘flying miner’ statue. In Penzance, local schools perform a very large ‘furry dance’. Around 700 children take part every year, led by the town’s Golowan band, the town mayor and the Grand Bard of the Cornish Gorseth. St Piran is one of the three Cornish patron saints, the other two being St Michael the Archangel and St Petroc. St Piran was an Irish Christian who came to Cornwall to spread the word about Christianity. Legend says that he floated across the Celtic Sea on a millstone, arriving at Perranporth on the Cornish coast. Other legends say that he was the discoverer of tin and that he enjoyed alcohol far too much, being always drunk. The black and white flag of Cornwall is called the St Piran’s Cross and is supposed to show the colours of tin when it is heated or smelted.